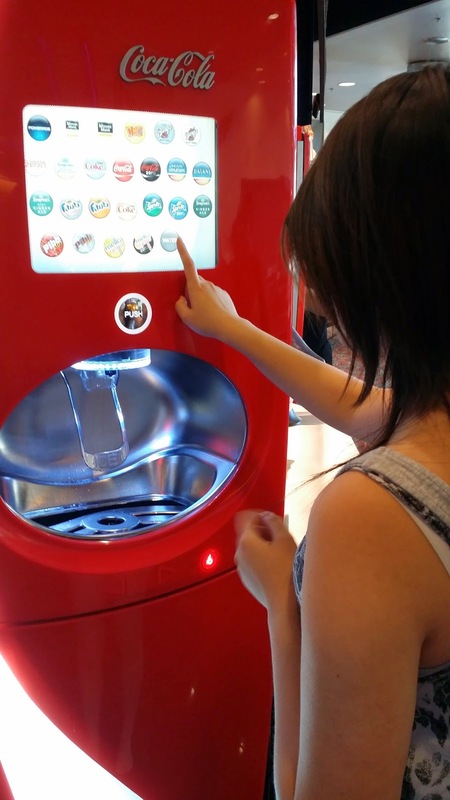 THE COOLEST COCA COLA MACHINE EVER - EAT WITH HOP! SO I JUST WANTED TO SHARE WITH Y'ALL HOW COOL I THINK THIS COCOA COLA MACHINE IS! 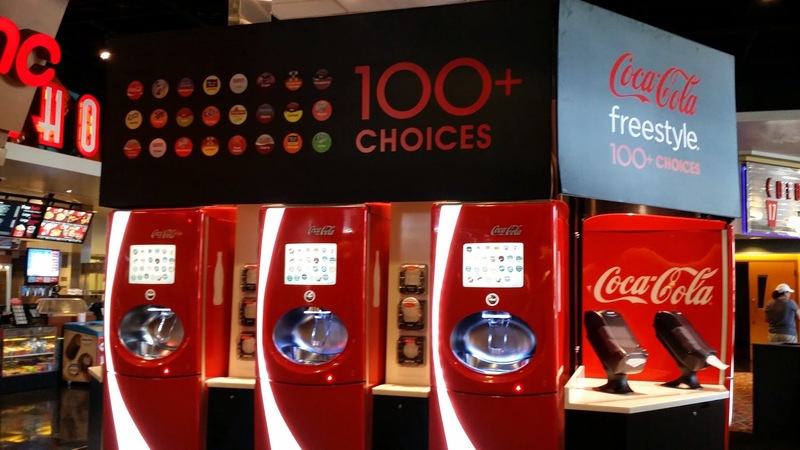 THIS PARTICULAR ONE IS INSIDE THE AMC MOVIE THEATRE AT THE OUTLETS OF ORANGE (I CALL IT "THE BLOCK") AND BASICALLY IT'S A MACHINE THAT HAS EVERY DRINK! WHOA. 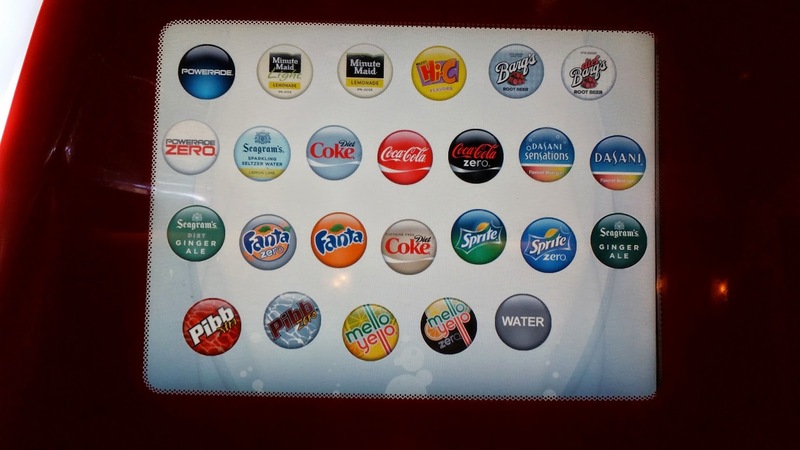 WELL EVERY DRINK UNDER THE COCA COLA BRAND I GUESS BUT STILL. THAT'S PRETTY DAMN COOL! LIKE HOW DOES IT DO THAT... ?! AND... IT'S TOUCH SCREEN TOO!